Imagine a snail shell stuffed with raisins and nuts. 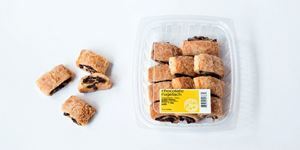 That is what rugelach is said to resemble. 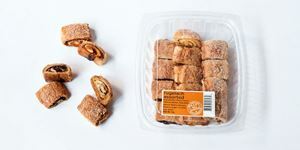 A rich dough with whiffs of cinnamon, there are as many versions of this snack as there are grandmothers in the world. Of course we think Eli's is among the most delicious.